Anyone who has actually watched someone die knows it’s never as beautifully scripted as it is depicted in the movies or television. Sure, we’d all wish for a great soap opera death where we appear in soft lens and tell everyone gathered around our beatific bed that we love them so much and then we gently close our eyes. Cue music, fade to black. I just finished watching the final two seasons of “The Big C” – a Showtime series that got death right – the good, the bad, and the funny. Yeah, you read that right. Don’t freak out, I’ll explain in a bit. “The Big C” begins with the main character, Cathy, played by the extraordinary Laura Linney, receiving a diagnosis of Stage 4 melanoma – as in lights out. So before we even get to know her or care about her, we learn she’s not long for this life. What a courageous premise for a television show – to spill the beans on the ending right up front. The four seasons of the series take us through the final seasons of Cathy’s life. As in real life, each season brings a mix of hope, disappointment, fear, and love. By the final season, we care deeply for Cathy, and I confess to wishing for a Hallmark Channel ending with a miracle cure. Fortunately, I let go of that magical thinking long enough to watch some stunningly authentic scenes – scenes that reminded me a lot of my own parents’ deaths, both from cancer in 2002. Cathy achingly longs for her family, especially her teenage son, to be okay when she’s gone. I saw that same look on my mother’s face a few months before she died. She was several months into chemotherapy and radiation for lung cancer (no she was not a smoker) and in hideous pain that the strongest of drugs couldn’t seem to moderate. I was leaving her for a few days to return to my home in North Carolina. That was the only conversation we ever really had about her impending death – but it was enough and I have thought about that moment a hundred times in the past 12 years. It was one of the most exquisitely honest moments we ever shared and I doubt it would have happened if she had not been so gravely ill.
My mother was a steel magnolia – she was stoic and reserved with her feelings but the journey of dying let her drop so many of the barriers she kept around her for so much of her life. She also had a deliciously dry sense of humor that was only heightened by cancer. I’ll never forget sitting by her bedside during one of her many hospital stays, as a social worker read over several questions from a clipboard. “Mrs. Ore, are you feeling depressed?” she somberly asked my mother. “No, but I’m going to be if you keep asking me these questions,” my mother replied. After the earnest social worker left the room, Mom and I giggled like teenagers at a slumber party. Don’t get me wrong – there is nothing remotely funny about cancer but imminent death does create a space for an authenticity that seems so elusive in every day life and I treasure those moments with my mother. 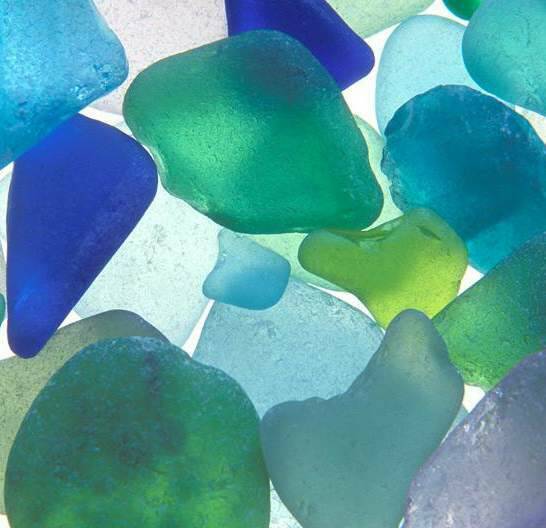 They are like pieces of sea glass – precious and clear – and I get them out and hold them from time to time. It’s no spoiler to tell you how “The Big C” ends. The surprise is how much a show about dying celebrates living. 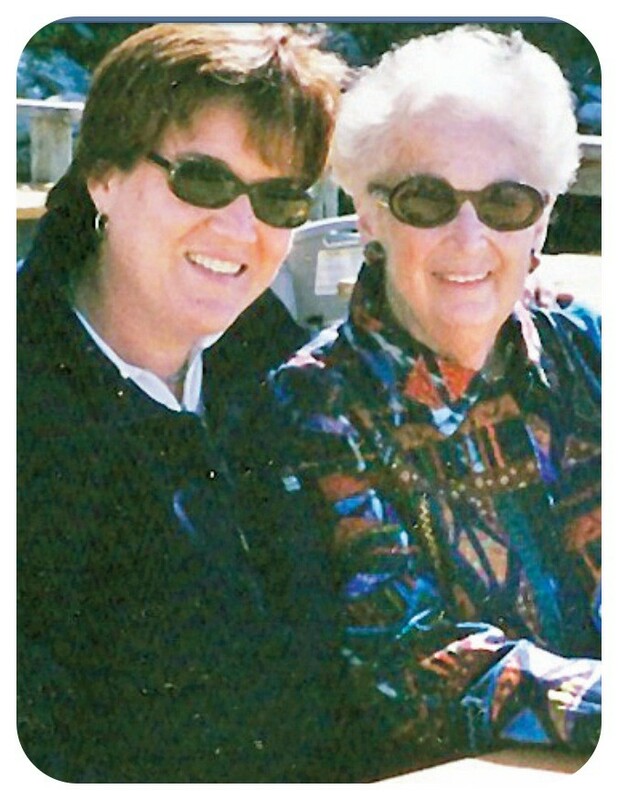 The last photograph of me with my mother, taken in Maine, September, 2002.